Support Structure is an architectural interface created for The Economist Plaza. This is phase 2 of an evolving project by architect Celine Condorelli and artist-curator Gavin Wade to design a highly adaptable structure to support a wide range of human activities. 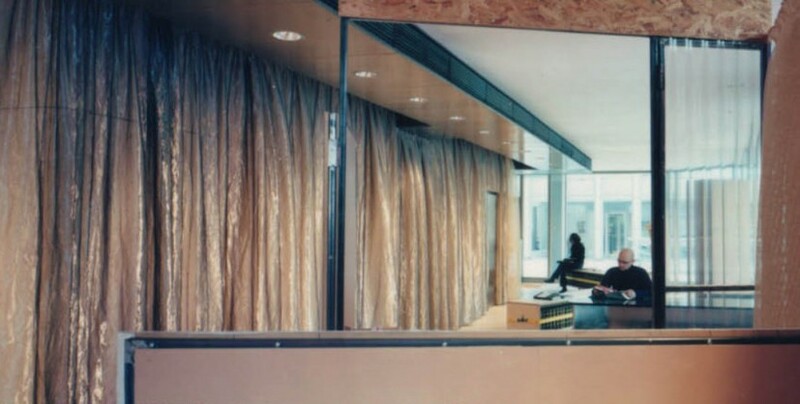 On the 40th anniversary of Alison and Peter Smithson’s landmark building, Support Structure is the first artwork designed for both its interior and exterior spaces. Support Structure aims to create a space which is continuously reinvented in response to, and by, its users and context. Phase 1 of the project was set in Chisenhale Gallery, London to support a daily changing exhibition called I Am A Curator. Support Structure contained artworks and a complete display system used by members of the public to curate 30 exhibitions in 30 days. Support Structure Phase 2 is responding to Alison & Peter Smithson’s proposition of the Plaza as a micro-city. The plaza’s three octagonal buildings form a “cluster” containing corporate offices, public/commercial space and private residences on three different scales. 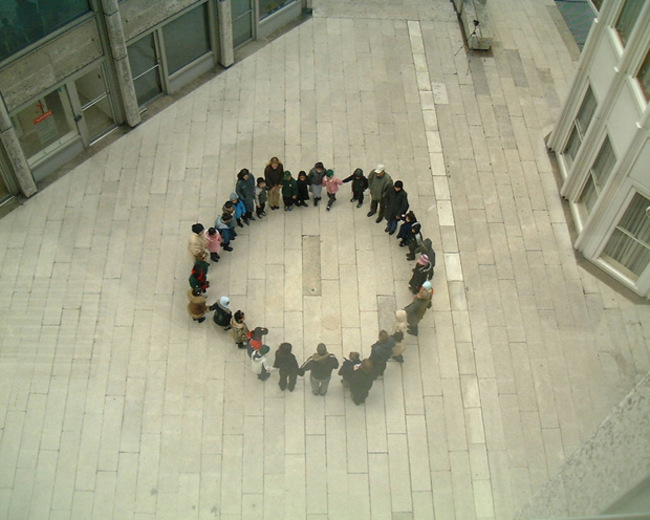 Support Structure’s objective is to initiate discourse between existing and new users of the Plaza and to adjust the function of the ground-floor spaces. Adaptable architectural structures offer new relationships between the three scales of the “plaza city”. 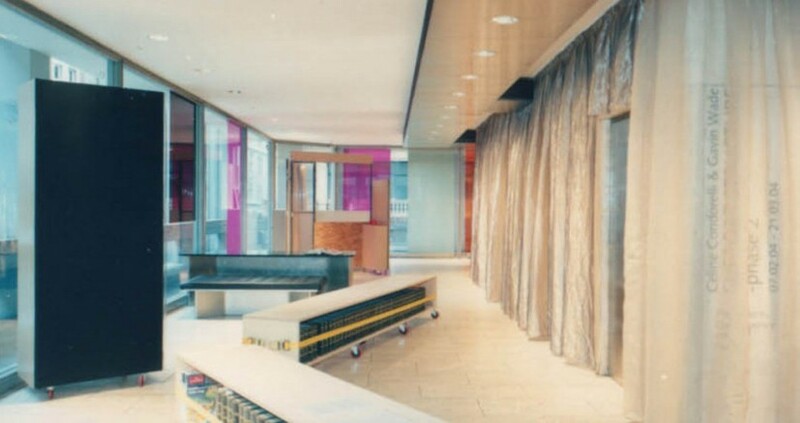 Referencing Mies van der Rohe and Lilly Reich’s The Velvet and Silk Café, Women’s Fashion Exhibition, Berlin, 1927, curtain elements will be introduced into the hard geometry of The Economist Tower, extending the newly curtained Shumi restaurant in the commercial tower, Boodles Gentlemen’s Club’s discreet windows and the private draped spaces of the smaller tower. 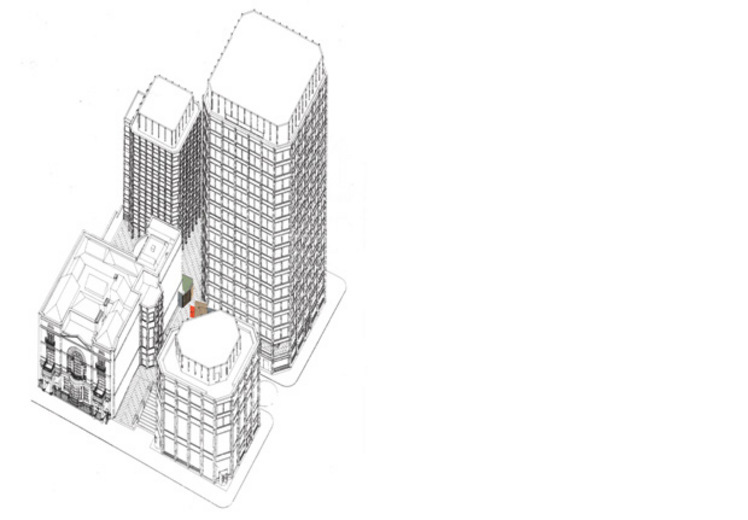 Support Structure is proposing re-organisation, new use and misuse of The Economist Plaza, updating the Smithson’s radical but contextually sensitive vision of a new community structure. Supported by RSA Art For Architecture & Arts Council England National Touring Programme.